93 x 70 mm. – 247 leaves. With 14 illuminated initials (2 of which historiated) and 14 miniatures. 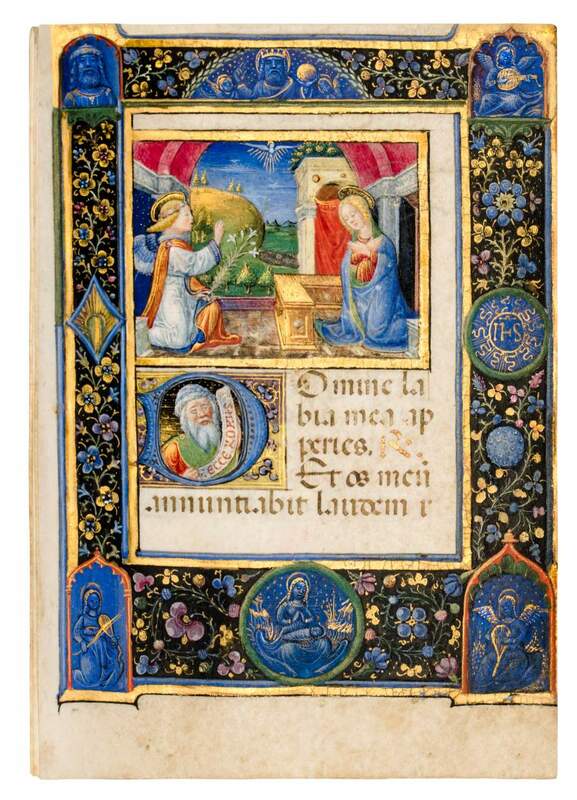 Book of Hours with abbreviated Psalter made for Francesco Borromeo, possibly written by Angelo Meraviglia. Ambrogio de Predis, a personal friend and colleague Leonardo da Vinci, had been known as a panel painter, foremost as a fine portraitist. His exquisite work as miniature painter has first been recognized and documented in this precious little manuscript, offering 14 miniatures, very carefully painted with a great feeling for the smallest details, and of natural beauty and elegance.